Give your kitchen a stylish makeover with the Circo 36L multipurpose sink offered by Everhard. A top mount insert sink which features a circular design, this multipurpose kitchen sink is versatile enough to be used in laundries and wet bars as well. With striking looks, this sink will perfectly complement interior designs and décor. 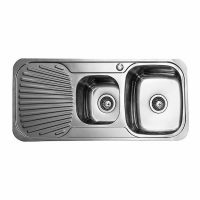 As practical as it is stylish, this Circo sink is made out of stainless steel and features a bowl capacity of 36L. 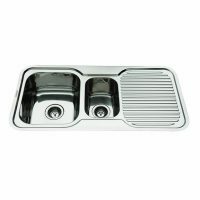 This sink measures 515x280mm and also includes a 50mm basket plug and waste. Whether you decide to install this sink in your kitchen, your bar or your laundry, installation is a straightforward task. An accurate template on the product carton allows you to create cut outs in your benchtop and the Circo sink will easily slip into place. 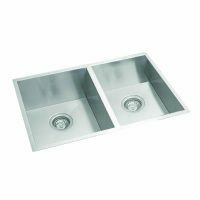 A fine quality product from Everhard, the Circo sink is manufactured using 304 grade stainless steel and is extremely robust and sturdy. 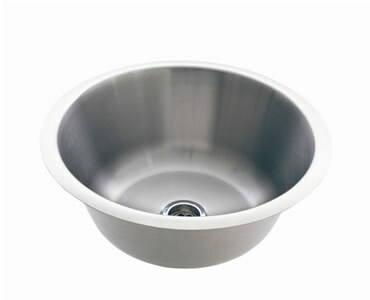 As a mark of quality, Everhard offers a 25 year guarantee on the stainless steel bowl. So what are you waiting for? Install this elegant sink and transform your kitchen into a functional space. Buy the Everhard Circo 36L sink at an unbeatable price from Ross’s Discount Home Centre.